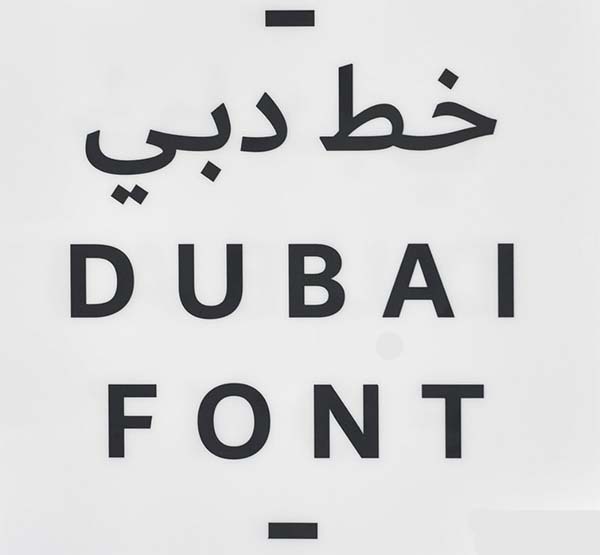 Dubai has just announced the launch of ‘Dubai Font’, developed by Microsoft. The font was designed with both Latin and Arabic scripts and is available to Office 365 users. “It is the first font to be developed by a city and to carry its name,” claimed council secretary general Abdulla al-Shaiban, which is true if the most important part of the sentence is the ‘and’. Well, this new font is featureless, like a desert. So I suppose it’s apt. I was interviewed on Radio Wales yesterday about it. I said it was vanilla, unnoticeable. Which in a text face is a desirable characteristic. But designed by Microsoft? If I wanted a font designed, I’d go to a font designer, not a software company. If you wanted a racing car designed, would you go to Ferrari, or Facebook? And a first? Hardly. Loads of cities have typographical identities, but not all of them have authorities who can impose their demands. All corporations have graphic identities, some more forceful than others. If you’re going to associate a font with a city, you might at least give it some character. Look at London — as soon as you see that font with little diamonds instead of dots on the top on the ‘i’s, it says London. That’s because London Transport commissioned Johnston’s Railway Type a hundred years ago, and that went on to inspire Gill Sans, one of the greatest C20 fonts and one which was created in Wales at Capel-y-Ffin. Spot the difference. When Microsoft created Windows they wanted to use Helvetica but they didn’t like the thought of paying royalties. Like taxes, royalties are what they receive, not what they pay out. So they went to Monotype and commissioned something that would look as much like Helvetica as possible without infringing its copyright. They called it Arial. 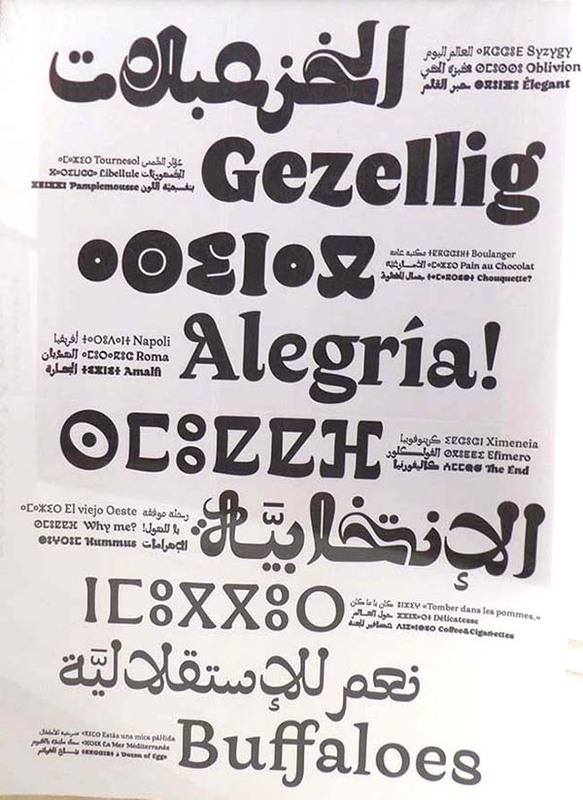 Earlier this year Dar Belarj in Marrakesh was showing examples of type families to represent the Latin, Arabic and Tifinagh alphabets. They are uniformly frightful, though crafted with the best intentions. The Latin alphabet and the Arabic alphabet are so alien to each other that any attempt to make them familial is worthy but hopeless. Arabic reads right to left for a start. No one is going to use these fonts seriously unless they are compelled to. In Dubai Crown Prince Hamdan bin Mohammed al-Maktoum has urged all government institutions to adopt the font in official correspondence.